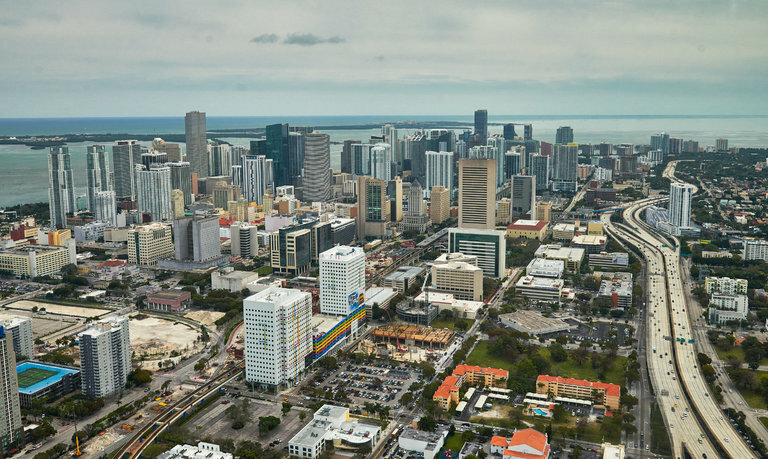 Billions of dollars in commercial and residential development are changing downtown Miami’s skyline. MIAMI — It was always Miami Beach, a barrier island on the sun-dappled Atlantic, that attracted the attention, the glamorous notices, the billions of dollars in real estate speculation. 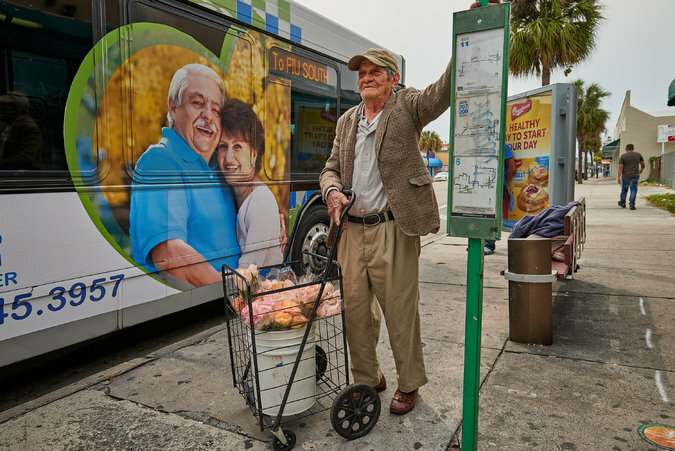 Just four miles away on the mainland, the sprawling metropolis of Miami suffered for years in the comparison, its scruffy downtown largely devoid of life after offices closed for the day and commuters fled to the suburbs. Inner-city neighborhoods, mired in poverty, were far from investors’ radars. Miami long struggled to achieve the patina of prosperity, even though glimmers appeared in the Brickell neighborhood, where condominium towers and office buildings proliferated, and more recently in the Design District, with its elegant boutiques. Now, a wave of commercial and residential development in downtown Miami and its periphery is altering the city’s skyline. 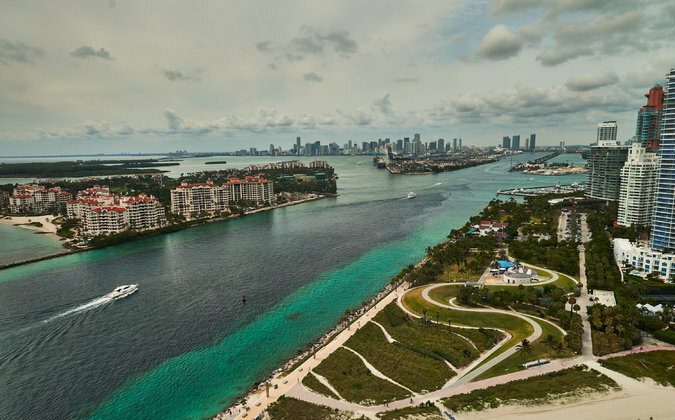 And in providing options for those less affluent than the condo dwellers by the water, it is challenging the long-held perception that Miami is not a place where a middle-class person can live well and raise a family. While such comparisons may be hyperbolic, data show a significant increase in downtown residential properties — many of them rental apartments — in tandem with construction of multipurpose developments, retail stores, restaurants, supermarkets, a mass transit hub and cultural institutions. In a report published in February, the city’s Downtown Development Authority said rental construction was “very active,” with around 13,000 units proposed or under construction. Rents downtown have risen 5 percent annually on average for the last three years. The building rush seeks to capitalize on a growing number of jobs in the city’s business and financial sector, which serves hundreds of banks, private equity firms and hedge funds. With its economy now on decidedly firm footing, the Miami area — with a balmy climate, exotic surroundings and international flair — is an appealing place for companies from elsewhere, especially Latin America. Over the next five years, businesses in the city are expected to add almost 20,000 office jobs, the agency said, estimating that some 385,000 square feet of new office space are under development. Much of that work force will shun living outside Miami, in large part because of the horrendous rush-hour traffic. The decidedly untrendy suburbs are often not even considered by new arrivals, who want to be close to the barrier island’s South Beach neighborhood, even if they cannot afford to live there. “People want to be able to walk to work, to restaurants or to the park,” said Nitin Motwani, a developer of Miami Worldcenter, a $2 billion, 27-acre development that broke ground in March. The project, being built on land assembled from some 50 parcels that Mr. Motwani and his associates began buying at auction 12 years ago, will include pedestrian-only streets with stores and restaurants, a hotel, a 500-unit condominium tower and, in other structures, more than 1,200 rental apartments aimed at moderate-income professionals and families. The resident population of downtown has doubled since 2000, according to census figures compiled in 2010 and assessments since then by the development authority, and an additional 40 percent or so of growth is predicted through 2019. The changes make Miami fertile ground for the retail and services market. The city’s retail sector, which generated almost $4.5 billion in revenue in 2014, “will usher in 1.4 million square feet of new leasable space over the next three years,” the development agency said. That increase in downtown retail space will largely be driven by several mixed-use projects under construction, the report said. Besides Worldcenter, there is Brickell City Centre, which will contain a half-million-square-foot shopping mall, condominium towers, hotel rooms and office space; and Miami Central Station, a train, light-rail and bus hub with stores and apartments. “A big portion of the population wasn’t being served,” said Brian Pearl, a founder of Global City Development, referring to everyday workers for whom low housing costs are a crucial consideration. This summer, Mr. Pearl’s company plans to begin construction on a five-story building with more than 200 apartments, from studios to two-bedroom apartments. Rents will be in the range of $1,000 to $2,000 a month. “If you earn $60,000, $70,000 a year, you can afford to live there,” Mr. Pearl said in an interview. Mr. Pearl’s firm plans to close next month on another property, where it expects to build about 260 rental apartments and 20,000 square feet of retail space. Both sites are near parks. James W. Shindell, who heads the real estate group at the law firm Bilzin Sumberg, said that Miami was becoming “one of those gateway cities, like San Francisco, New York or Washington, that attract human capital.” And while rents have been going up, many professionals prefer to rent to stay flexible for their careers and enjoy features at new developments. While there is evidence of saturation in the market for high-end condominiums, developers see profit in redirecting their sights toward buyers in lower income brackets. Nir Shoshani hopes to attract professionals aged 30 to 45 to a 500-unit condominium tower called Canvas, for which he broke ground in February. The average unit will cost about $400,000, he said, and be just 860 square feet. For years, there was little to attract outsiders to downtown except the American Airlines Arena, the Miami Heat’s home court, which opened in 1999, and the Adrienne Arsht Center for the Performing Arts, now a decade old. In the last few years, the Pérez Art Museum Miami arrived, and the Patricia & Philip Frost Museum of Science is under construction. And the Wynwood arts district is now commanding such high prices that some artists and gallery owners are looking further afield to set up shop. Adding to the renewal of downtown is a $13 million project to restore a half-mile section of Flagler Street, which long ago was the city’s pre-eminent urban thoroughfare but fell into decay in recent decades. The plan, inspired by the pedestrian-only Ramblas in Barcelona, Spain, is to transform the street with outdoor cafes, wider sidewalks and valet parking. The developer Moishe Mana has already invested more than $200 million in properties on and near Flagler Street. “Every year it’s becoming more like a city,” said Michael A. Comras, a developer whose optimism about Miami’s financial health led him last year to form a partnership that bought the CocoWalk shopping complex in Coconut Grove for $87.5 million and the Shops at Sunset Place, a mall in South Miami, for $110 million, both of which he plans to renovate. Not everyone here is as optimistic. Ezra Katz, the chief executive of Aztec Group, a real estate investment banking firm, said it would take several years to absorb the apartments and condominiums that have already been built or are in the pipeline. He was concerned also that infrastructure improvements have not kept pace with development in the city’s core.